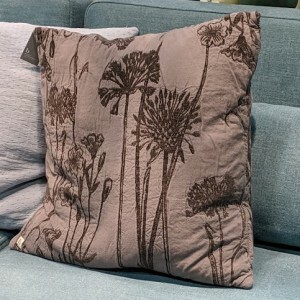 A year on from our January Top Drawer report we thought we would review and compare the trends we saw on our latest visit. A prevalent trend we picked up on last January at both Heimtextill & Top-drawer was a trend we called ‘Tropical Jungle’. The ‘Tropical Jungle’ pattern trend included large scale palms & ferns mixed with varied exotic animals. Green was the dominant colour in the palette with a more vivid palette of burnt orange, rich red, ochre, midnight blue and blacks creeping in. 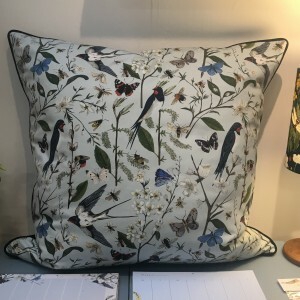 This year at Top-drawer we saw textiles veering away from large scale tropical prints, and although there was still a smattering on some stands, we did start to see a move towards meadow inspired sprig prints, some combined with birds and insects. We did, however, see a divergence in the colour palette with two prominent executions – fresh, natural colours and a dark vibrant palette. 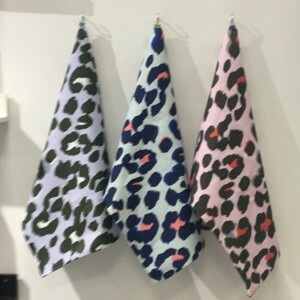 There was notably less exotic animal imagery combined with palms but there was a definite increase of animal prints reflecting current fashion trends. 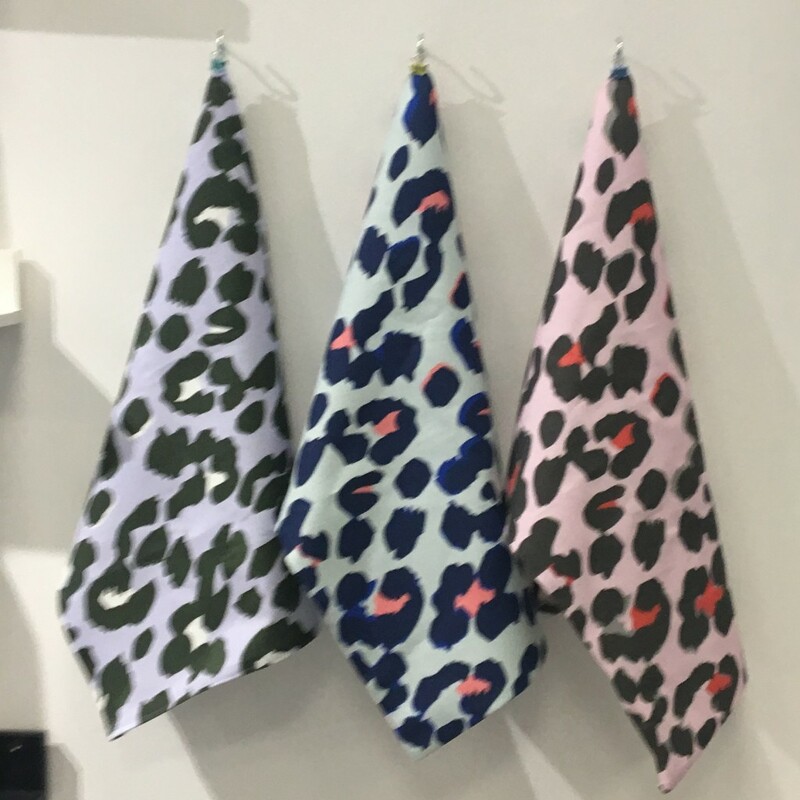 Leopard print was the most popular pattern in mainly a rich, dark palette except for Harris & Hall who stood out with a fun vibrant leopard range. 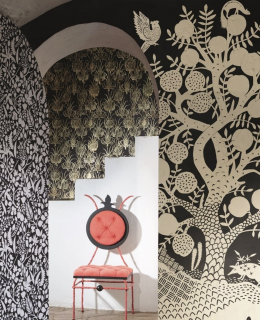 Last year we talked about the amount of rattan we had seen being used on furniture, lighting and storage and that it was a reflection of the tropical jungle, orangery trend we were seeing in pattern. This season natural materials were still important but we noticed a move towards opulence and texture. 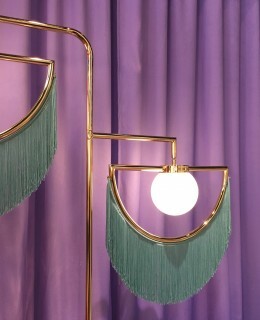 Velvet was a key finish for cushions and occasional furniture along with fringing, tassels and faux fur. 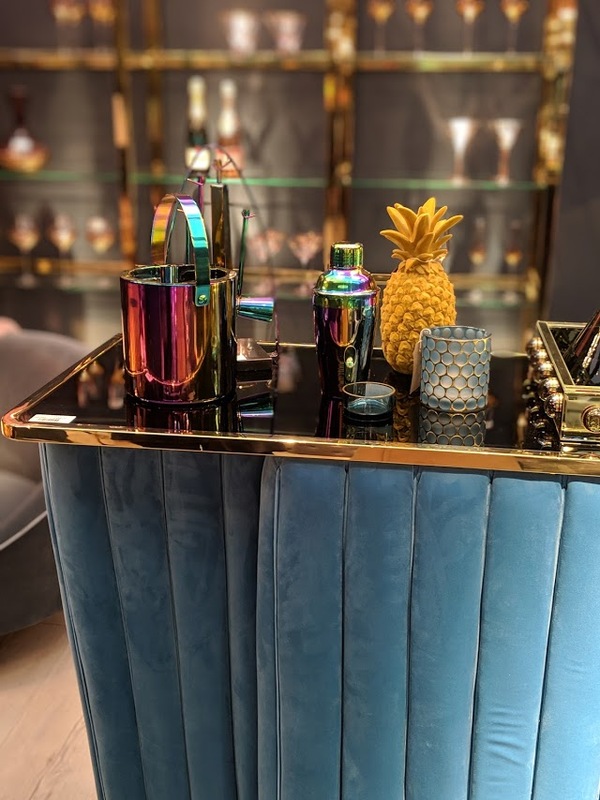 We especially liked the velvet drinks bar from Coach House in our feature image. 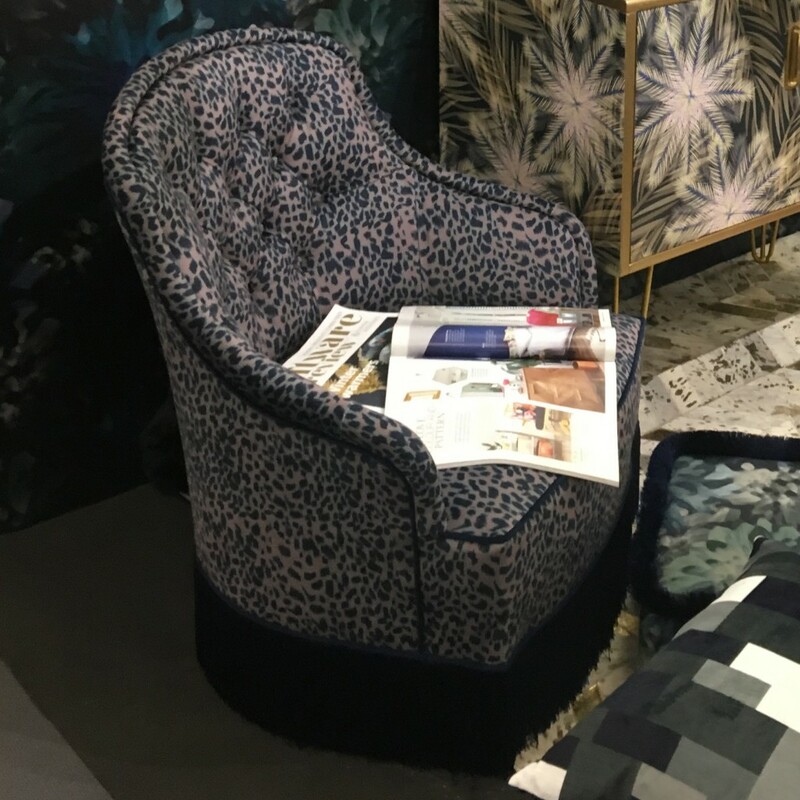 Our next trip is to Maison Objet were we will continue to track all the developing trends so keep an eye on our Instagram and the blog for further information. 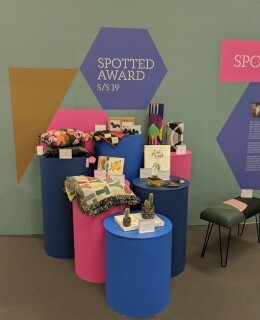 Did you visit Top Drawer? What did you take away?